What Is The PlayStation 4 Pro? After months and months of speculation and rumor both of Sony's new PlayStations have been officially revealed during the PlayStation Meeting. A slimmer model of the PlayStation 4, retaining the PlayStation 4 name, will release on September 15th at $299.99 in the US and $379.99 in Canada. 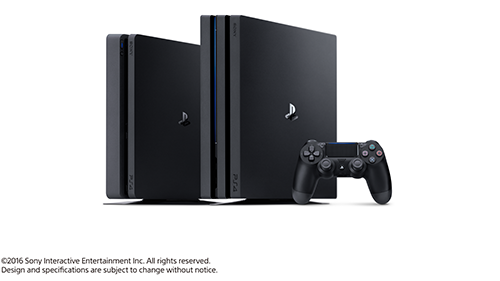 The console is confirmed to have lost the optical cable, feature enhanced WiFi, and a slightly redesigned lightbar on the Dualshock 4, however the hard drive will remain the same size of 500 GB unless you add your own. The real highlight of the event was the PlayStation 4 Pro which will release on November 10th, 2016 for $399.99 in the US and $499.99 in Canada. In addition to the WiFi and upgraded Dualshock 4 the optical port will remain in tact from the current PS4. PlayStation 4 Pro will also bump the console up to include a terabyte of storage and add a significant boost to the PlayStation 4's power. This new console will have the ability to play games at a 4K resolution, should the developer create it as such. PlayStation 4 Pro will run games faster and look better while still being able to run the things you've downloaded or bought on your current PS4. 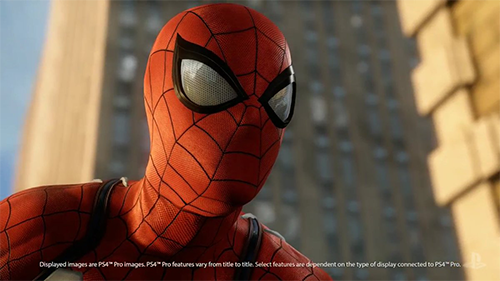 Many, but not most, of the games that have already released on the PlayStation 4 will get a Pro version of the game through a form of support PlayStation calls Forward Compatibility. A list has been revealed of which games, both upcoming and already released, will receive an update. The specifics aren't there but these games will either run at a higher resolution, or with higher framerates, or both! HDR, or High Dynamic Range, is the talk of the town with new ritzy TVs. PlayStation 4 Pro will have some form of HDR support, just as the Xbox One S does. But in an exciting announcement, an update to your current PlayStation 4's firmware will allow HDR support on the console you may already own. These updates will make colors pop, blacks will be blacker and whites will be whiter. But hey maybe you don't care about how things look? Maybe you're not a moneybags with an expensive 4K TV. Keeping your current PlayStation 4 is still a great option as all games and upcoming content will work on your system but not as well or gorgeously as the new PS4 Pro. Thoughts on the new PlayStation? Will you be picking up the PlayStation 4 Pro or Slim? Share your thoughts below!